Accra, March 25, GNA - Mr George Lutterodt, chairman of the Ghana Athletics Association has assured Ghanaians that the Olympic medal jinx in athletics would be broken in Athens with about two or three medals. Speaking to the GNA Sports on Thursday, the chairman said his optimism was fuelled by the superlative form of some the athletes who would represent Ghana at the Athens Olympics, coupled with the effort the GAA is making to guide them to peak at the right time. He named long jumper, Ignatius Gaser, eight hundred metres ace, Akosua Serwa and the men's relay quartet as the brightest medal prospects but added that other athletes such as heptathlon specialist, Margaret Simpson could mount the podium with hard work and dedication. Mr Lutterodt said he was in regular contact with the foreign legion of athletes who keep on assuring him that they want to prove a point by winning Ghana's first track and field Olympic medals in Athens. The chairman admitted that the Olympics and the All Africa Games were two different ball games but said he had followed the performances of the athletes during the indoor season and he believed that they were ripe to break the ice. He said as the GAA is determined to ensure that the athletes prepare elaborately for Athens, it would ensure that they participate in some regional competitions such as the West African Senior Championship in Dakar from April 23 to 26 and the All Africa Championships in DR Congo in July. Mr Lutterodt said the National Championship has been tentatively fixed for May 4 and 5 in Kumasi and he hoped to have many top athletes to take part. On the current European outdoor season, the chairman said he had been talking to the athletes not to participate in too many competitions so that they would not burn themselves out before the Olympics and so far the response has been very good. 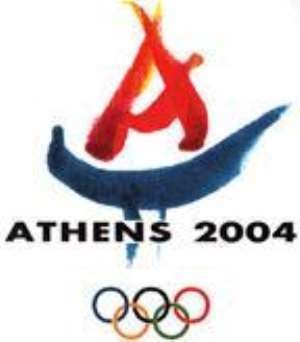 He lamented the failure of the national television station to telecast the Olympics live and hoped the Athens Olympics would be a deviation from the past. Mr Lutterodt believed the athletes would be more determined and better psyched up if they realised that their countrymen and women were watching them live. "Countries like Nigeria, Senegal and Kenya watch their athletes live at the Olympics and Ghana must try to do that too," he said.